Define, Target & Hire Leadership Talent using an exclusive, focused, committed and dedicated approach. Looking to hire a recruiting firm? Or three or four? Does “more coverage” really mean more attention? Is a “Speed Dating” style the best strategy for your business? Are you happy to hire the “first across the line” that looks like the better candidate to surface in the race? Guess what? The opposite is actually true. The early bird gets the worm and there is no time to conduct a detailed search and still be the “winner” of a competitive search. A volume recruiting agency must (if they are ethical) be “hands-off” of the employees of all of their clients. This is something that is very limiting and difficult to do when a company’s business model is based on volume. Want an alternative? 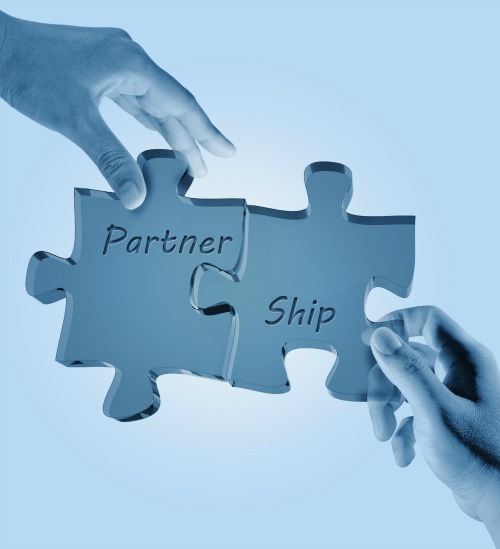 JKS Talent Network’s Priority Search Practice partners with you to develop a winning outcome. We use an intuitive strategic process that ensures a successful delivery. Defining and diagnosing your needs begins at ear-level. Janis asks the questions you may not have considered yourself. She learns and understands what is valued in your culture as well as what skills and competencies meet your business requirements and expectations. Result: “Best Fit Talent Profile” developed with a thorough understanding of the Hiring Manager’s requirements , team dynamic and business objectives, while maintaining close ties with HR personnel. You don’t have time to go through dozens of “maybe” possibilities from multiple recruiters. Janis drops everything to identify, pursue and secure the talent that is busy working, well appreciated, unaware of job boards and doesn’t pay attention to LinkedIn listings. Since the first candidates aren’t always the best candidates, Janis doesn’t rush the process. She works in the background and presents you with a short list of the future leaders of your organization – highly targeted and well-prepared talent presentation. This ensures that you interview more than just qualified candidates. They will also be reflective a talent definition that will meet your business goals. Result: Carefully selected and presented short list of Best Fit talent that does not abuse or waste time. Your ongoing business relationship with Janis includes Talent Scouting services because not all the best candidates are on LinkedIn or met at a conference. She work her networks to your advantage with ongoing strategic talent scouting – identifying and presenting matching professionals as they are discovered. If you continue to recruit with one-off requests and not anticipate your future business needs, you will lose out on meeting great overlooked talent. Often the greatest talents are buried or out of reach. Result: Well-connected and committed business partner that offers an inside track of information you can’t get elsewhere. Strong interest and developed understanding of the business, invested in the corporate culture and engaged in supporting continued organizational growth. JKS Talent Network does not seek to outbid other service providers, resume houses or volume recruiters. JKS Talent Network’s competitive advantage is in outbidding and outperforming with our service. Our Priority Search Practice profiles, identifies, locates, woos and motivates the talent you want to meet – highly desirable professionals who are happy, successful and productive where they are now – not in active search mode with their resume on every job board or in every database. JKS Talent Network is a Priority Search Practice. We accept a limited number of search assignments at any given time – no client is ever ‘one of many’. Using this approach, Janis performs a high-touch, hands-on and personalized Priority Search. A successful outcome is the goal. We believe that contingency activities do not produce full commitment or a clear sense of accomplishment. If you need a well-connected business partner that offers you a personalized approach and solid market intelligence with the ability to clearly communicate and interpret your brand, you have come to the right place. Is your best employee working somewhere else? Contact JKS Talent Network and discover the value and expertise that Janis will bring to your next search for talent. Call (604) 731-2073. Expect more than a recruiter because your business deserves better than a series of transactional recruiting services.